Hello everyone, I hope your all having the best festive period and all your little ones and you got lots of exciting things from Santa! Today I’m going o share with you our thoughts on a particular product from Learning Resources , as I thought this was the perfect time of you like the sound of what we got up to , to spend Christmas pennies on! 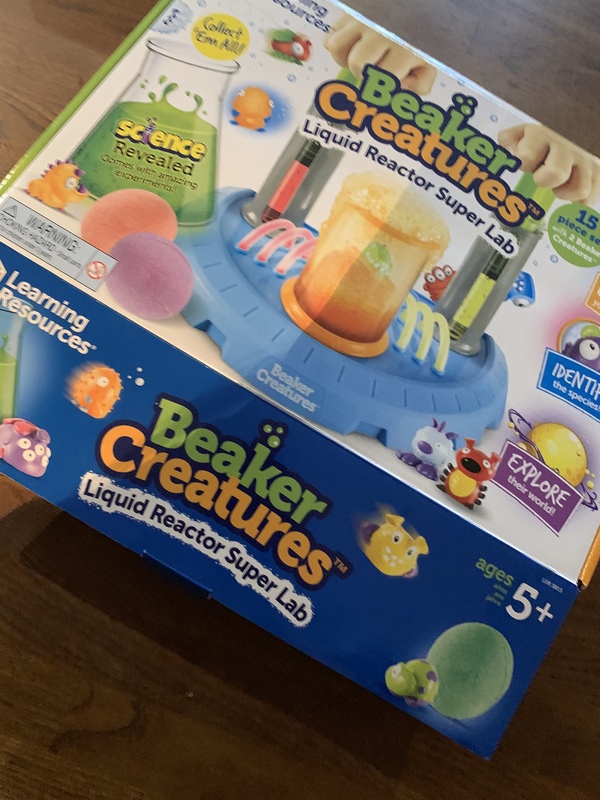 Me and the boys were given an opportunity from Learning Resources to review there beaker creature set. What are beaker creatures you ask? That was mine and the boys response to so we couldn’t wait to get stuck in ! So once unboxed and we had read through the instructions (which were fabulously easy to follow ) we got started with or excitement and as the pack says 5+ Bobby was keen to go first. Assembly of the super lab was fairy simple and goes together in a few easy steps with minimal parts. 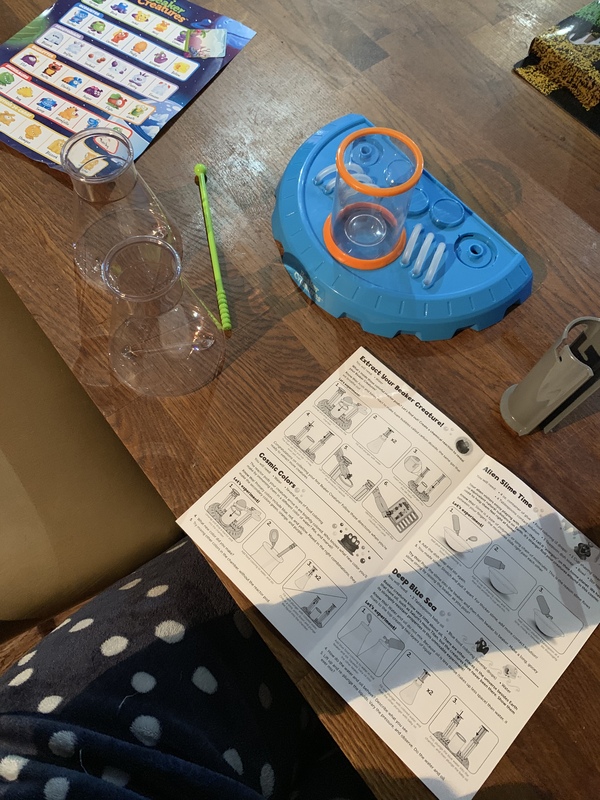 The main addition is water , which I thought was brilliant as usually with science kits the boys have had there’s all-sorts to add and they get bored very quickly as they don’t understand or get frustrated . Included in the kit were two egg shaped pieces (they look a bit like bath bombs) please don’t add to your bath or you’ll be sharing it with a beaker creature ! 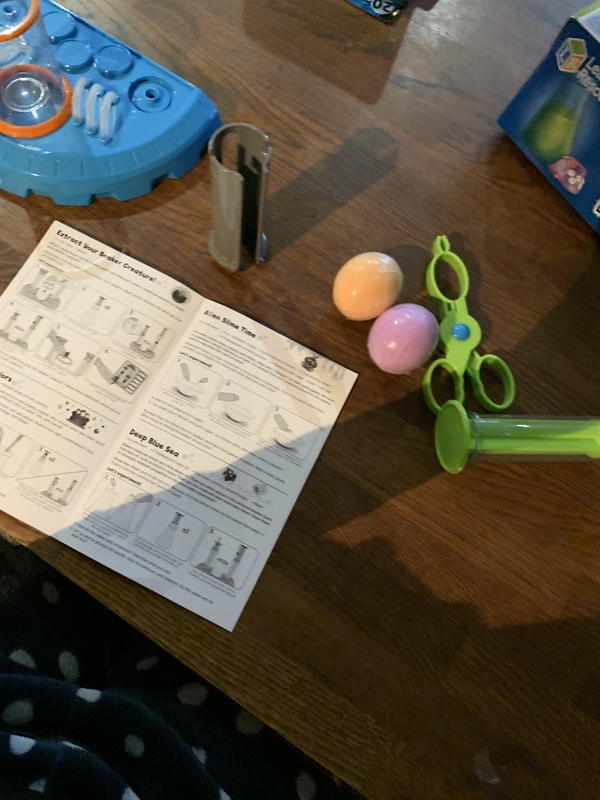 Bobby chose his egg and placed it into the container advised and then began to press down both large syringes to pump the water through, as he watched the water react with the egg he was amazed, as was Jack when it came to his turn. They were both very excited to see which one they had hatched ! At the end once all dissolved they used the tongs to get their beaker creature out and mark off on the list who they had got! The boys and myself loved this piece of kit and they have already asked if they can use some of their Christmas money to buy more eggs and hatch more creatures ! Tidying up after was minimal fuss too as we just simply added all the contents to the washing up bowl! And additional eggs are £4 making them great pocket money treats! 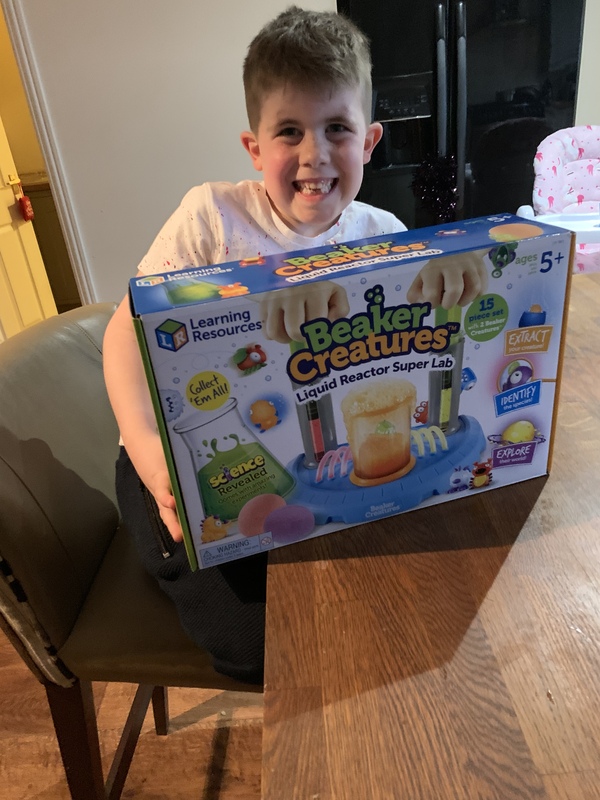 Thank you Learning Resources we love the Beaker Creature set and will definitely be recommending! This set was gifted in exchange a review. All words and opinions are my own. Previous Article Has the Whisbird helped us ? Next Article Kit and Kin are they for you?